The 2016 General Election is underway with ballots arriving in mailboxes across Colorado this week. 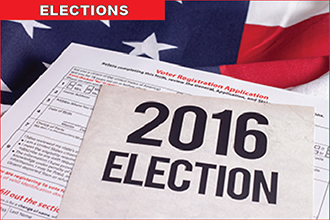 There are a number of ways to return your ballot including drop-off boxes and in-person at County clerk offices. A convenient option for ballot return is to mail it back using the provided preaddressed envelope. This method is safe, secure and effective. All completed ballots require postage, and in some instances extra postage because of the weight. The ballots for several counties - including El Paso, Boulder, and Denver - are multi page and require 68-cents return postage. The exact postage can be purchased at a Post Office or the voter can use a combination of stamps to reach the minimum postage. Forever Stamps are currently valued at 47 cents. Postage can be purchased at any of the more than 550 USPS retail locations across the state or at any one of our 67 24-hour self- service kiosks located in many postal lobbies. You can also purchase postage at many major grocery and drug stores or online at www.usps.com. The Postal Service and the Colorado Secretary of State are recommending completed ballots be mailed no later than Nov. 1 to allow for transportation and tabulation by election officials.